Attorney John R. (“Jake”) Donovan was born in New Haven, Connecticut and has lived in the area his entire life. He attended Hopkins School in New Haven and graduated with distinction from the University of Virginia in Charlottesville in 1975. 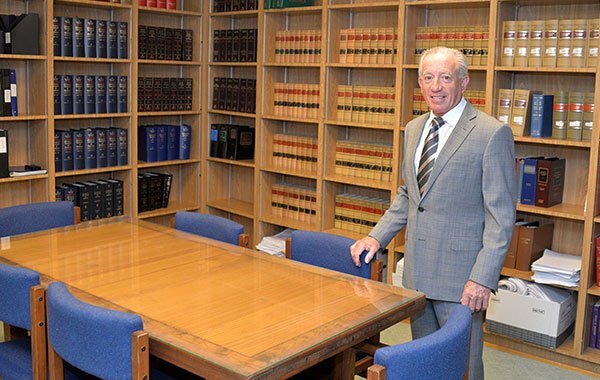 Jake earned his Juris Doctor from the University of Connecticut School of Law in 1979 and was admitted to the Connecticut bar later that same year. He is also admitted to practice before the Federal District Court for the District of Connecticut. Jake began his legal career as an assistant state’s attorney for the Meriden Superior Court. By the time he left that court, he had worked his way all the way up to the top — acting as the Meriden court’s chief state’s attorney. After leaving that position, Jake went into private practice in order to practice criminal defense law. It’s an honor to be able to help my clients get past the worst times in their lives. Decades ago, Jake took the plunge from criminal prosecution to criminal defense. If you were to ask him why he made the switch, he would tell you that there’s a lot more that goes into defending a client’s rights than what you see on TV. The task isn’t a simple matter of trying to get someone out of trouble. It’s about taking someone who was falsely accused or who made a mistake and fighting to help them hold on to their freedom so they can move forward with their lives. In short, Jake sees the person behind the accusation — a fact that his clients deeply appreciate. Jake’s influence as a criminal defense attorney even reached the next generation. His three children — our own Eamon Donovan included — have all grown up to be lawyers. Clearly, the desire to help others is a strong trait in the Donovan family.